Consistent with gender stereotypes, texts with affectionate emojis were judged as more likable and appropriate when they were believed to have come from a woman. Furthermore, text messages with friendly emojis (i.e., smiling faces) were judged as equally appropriate, but more likable, when they were believed to be sent by a man. A photo shoot from HMP Couture Imagery has gone viral after photographer Heather Mitchell posted the photos to Facebook with the message, "Because you can do it all." Photographer Heather Mitchell wanted to capture that girls can be both girly and athletic. Typically, this refers to attempts to change a person's sexual orientation to heterosexual or their gender identity to cisgender. Those whose parents enlisted the help of a professional to change their sexual orientation had a five-fold increased odds of having attempted suicide. While physical illnesses such as cardiac disorders are the leading causes of gender differences in mortality, mental health issues also lead to a significant burden of medical consequences and reduced life expectancy in males. Furthermore, another study looking at children in the first to third grades reported that girls do just as well as boys in math and perform better than boys in other subjects like reading (Miller & Halpern, 2014). 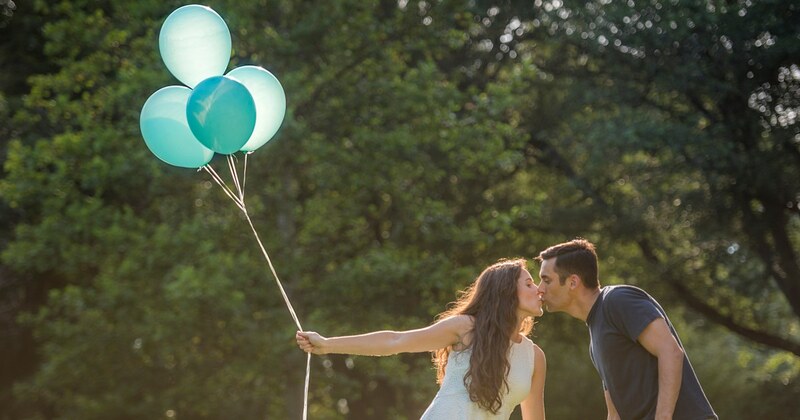 Police are calling the gender reveal stupid but social media is divided. The expectant parent's car was confiscated, after the gender reveal was captured on video, 7 News reported. Police were alerted to the stunt only after the video was posted to social media. While the association between marijuana use and depression was found to be robust among African American teenage males, the authors report that, "baseline depressive symptoms were not predictive of change in marijuana use over time for either gender ." (2015) point to the importance of education for school staff, including administrators and teachers, concerning LGBTQ identities, oppression, and how to best support queer students. But let's take this adage one step further and ask an even more intriguing question: Can having a happy spouse (regardless of gender ) not only lead to a happier life but a longer one as well? A third possible explanation, one the researcher examined in this study, is that happy people are simply more physically active. Here is a rank order of the accuracy with which people identified the five emotions tested: Happiness (Most accurate) Fear Anger Sadness Disgust (Least accurate) As for gender differences, the researchers found more parity than they expected. Other findings also indicated that the parents saw a decline in their children's social adjustment after the announcement (e.g., more isolation, more distrust of non-transgender sources, etc.). (Try it here.) In this study, fathers reported greater happiness than mothers, both when they were taking care of their children and talking and interacting with them. However, when we looked at the time it took participants to make a decision on whether or not they were attracted to the photographs with which they were presented, we found that contrary to our hypothesis, males took longer to make a choice compared to females. I spoke to several faculty members who were offered 10 days of paid maternity leave by their university, and 12 weeks of unpaid leave per FMLA law. A third faculty member worked at a woman’s university, which ironically had no paid maternity leave policy. 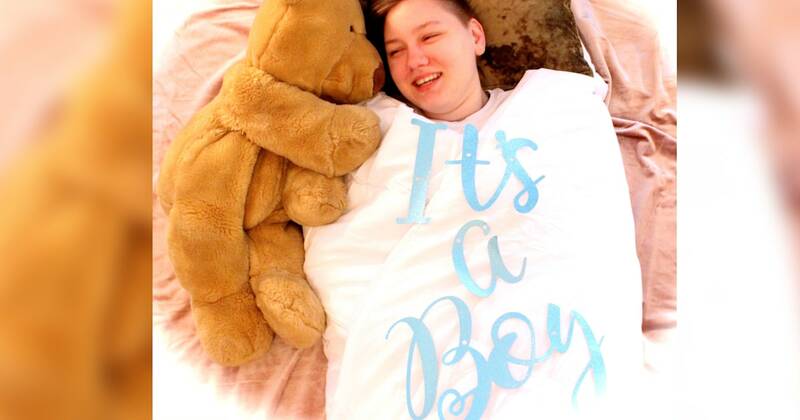 Whether you're planning a big get-together to surprise family and friends with your baby's gender, or you just want a unique way to share a special moment with your significant other, these are concepts you can really get excited about whether it's a boy or a girl! Based on a model known as “parallel-constraint-satisfaction” theory, which proposes that stereotypes affect the way people interpret the behavior of others, Evans and his colleagues hypothesized that men would benefit and women would be penalized when using humor specifically in the workplace. Weary from repeating the same conversation to loved ones, the family from Louisville, Kentucky, just decided to have a goofy and heartwarming photo shoot announcing to the world that "It's a boy!" The pictures of a smiling Brown swaddled in a blanket and holding blue balloons with Green and his younger brother, Lucas, 17, have led to an enormous outpouring of support since Green posted them on Facebook. Not so much with boys wearing makeup Sonja Haller, USA TODAY Published 5:10 p.m. ET Feb. 5, 2019 Parents talk about everything - except gender identity, a survey by SeniorLiving.com found. Let friends in your social network know what you are reading about LinkedIn Pinterest Pain of girls taken less seriously than that of boys in study showing sexism starts early The "Journal of Pediatric Psychology" study found women were more likely to downplay pain shown by girls than men were. 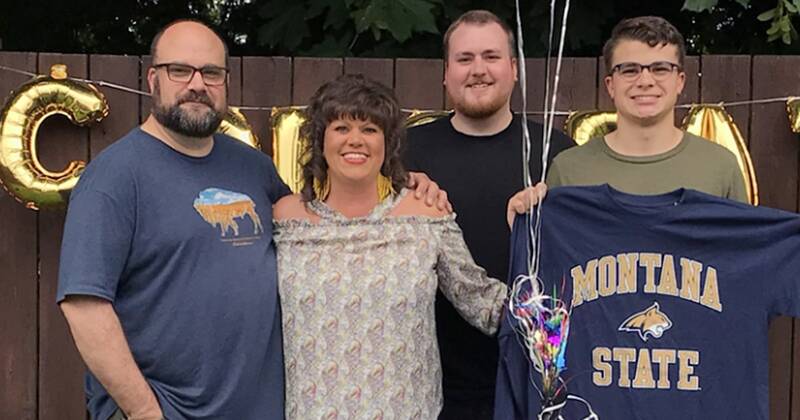 Heather Doyle, a Florida mother of two current college students and a high school senior, said that when her children decided where they were going to attend college, she made a social media post to congratulate them on the decision, but she cannot imagine posting an entire "reveal." "I just find it extremely obnoxious when people list every school they were accepted to," she said. 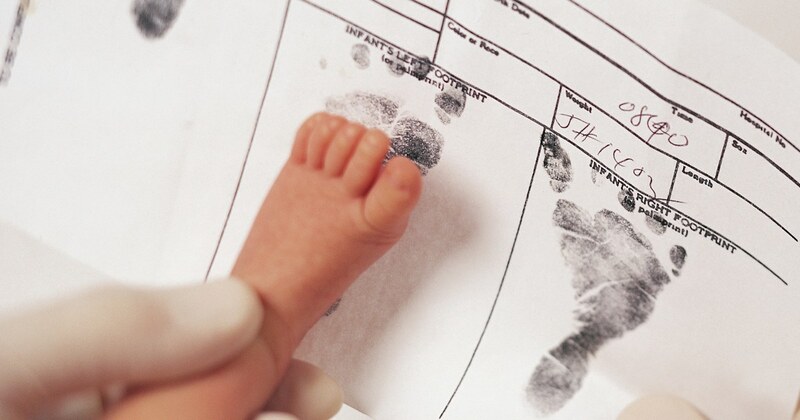 This also makes it easier for non-binary and transgender people to change their birth certificates to affirm their gender identity. The new law, the Babs Siperstein Bill, makes it easier for people to change their gender on their birth certificates, which can protect young trans and non-binary people from discrimination. However, the gluten-free individual was not seen as a less desirable dating partner, even when taking high maintenance perceptions into account. 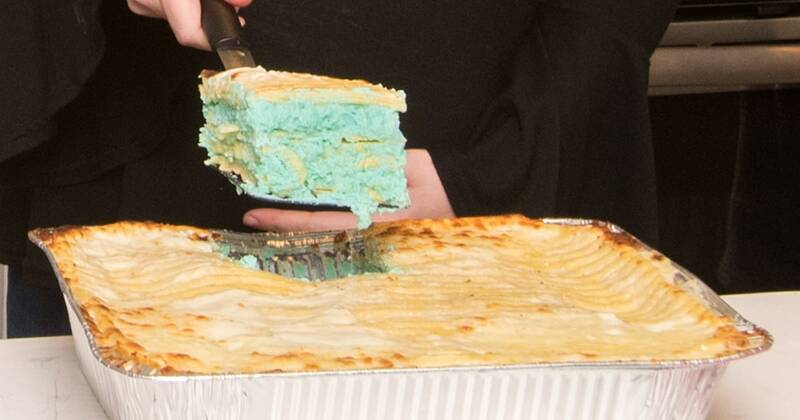 Forget blue or pink cakes, now expecting parents can get gender-reveal lasagna Ilana Keller, Asbury Park Press Published 10:06 a.m. ET Jan. 23, 2019 | Updated 10:28 a.m. ET Jan. 23, 2019 Villa Italian Kitchen offers a new way to do a gender reveal - via lasagna. Ironically, when people think about children, rarely is their focus on how homophobia, biphobia, and transphobia can hurt them, and yet exposure to these institutional harms are far worse than anything a child might be exposed to in a LGBT Pride parade, observing gay and lesbian relationships, or being read a story by a drag queen.